We love having fun with our horses. 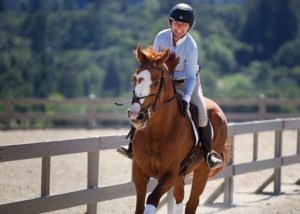 Ali Kermeen grew up riding at a top eventing barn in the east bay. 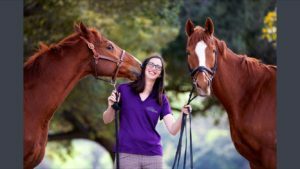 As a junior rider she developed a love for enjoying horses in all disciplines, including dressage, eventing, hunter/jumper, gymkhana, western, and trail riding. She has carried love of different disciplines into her professional life, with the basis of all her training being dressage principles integrated with Dorrance style horsemanship. In 2018 she is competing in dressage, cowboy dressage, and working equitation. In addition to the disciplines listed, Ali supports her clients at events and hunter/jumper shows. Ali even has clients who use her to support their riding in FEI endurance and breed shows. Ali believes that riding should be fun for rider and horse. 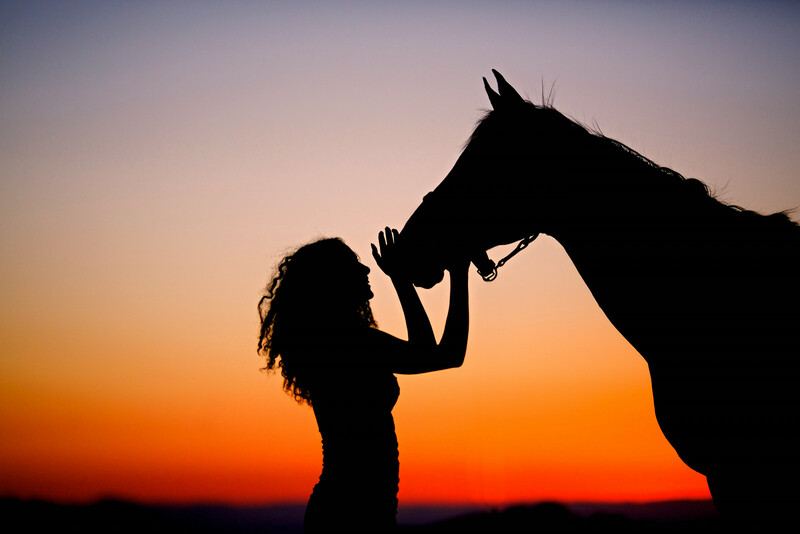 Training is tailored individually to each horse and rider, with a goal oriented approach that is right for them. Ali has worked with a large number of breeds and cross breeds in a variety of disciplines. She enjoys working with riders of different ages and values rider safety above all. Ali started HC Equestrian to be a place where riders can enjoy their horses and advance in a logical progression. Alice Bizri was first put on a pony at the age of 3 and never looked back. She grew up riding and showing on the West Coast hunter circuit. Her passion for riding eventually turned into a career. After running her own lesson program as well as riding and teaching for several trainers on both the East and West Coasts, Alice has returned to her roots on the West Coast this time with a stronger focus on dressage and flatwork. She believes that anyone can learn to ride effectively, given the right tools. Her broad experience has equipped Alice with a sharp eye and an understanding of horsemanship that gives her students an unparalleled edge. Alice is a dedicated teacher whose students attain their equestrian goals through strong fundamentals and good horsemanship.